The biggest surprise of round 4 was guest Al Naft's (3-1) easy road victory over Nift Al-Janoub (#5) 65-46 on Saturday evening. Defending champion moved-up to third place, which they share with Al Kahraba. Nift Al-Janoub at the other side keeps the fifth position with two games lost. They share it with Al Mina. Al Naft's supporters look forward to an exciting derby game next round, where their team will face at home their local rival from Baghdad Al-Khtot Al-Jawiya. Undefeated leader Al Karkh delivered the fourth consecutive win. This time they crushed 8th ranked Al-Tadamoun (1-3) 82-60 in Najef. Al Karkh have a solid four-game winning streak. They maintain first position with 4-0 record, which they share with Al Shurtah. Al-Tadamoun at the other side keeps the eighth place with three games lost. Al Karkh will play against league's second-placed Al Shurtah in Baghdad in the next round and it will be for sure the game of the week. Al-Tadamoun will play on the road against Al Hilla (#7) and it may be a tough game between close rivals. 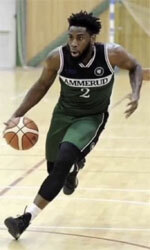 Bottom-ranked Al-Khtot Al-Jawiya (0-3) tried to put together a comeback for its first victory of the season, but they fell short in the 91-75 loss to third ranked Al Kahraba (3-1) in Baghdad on Saturday evening. Al Kahraba maintains third position with 3-1 record behind leader Al Karkh, which they share with Al Naft. Loser Al-Khtot Al-Jawiya still closes the standings with three games lost. They share the position with Zakho. Al Kahraba's supporters look forward to an exciting derby game next round, where their team will face at home their local rival from Baghdad . The game in Basra was also worth to mention about. 6th ranked Al Hilla (1-2) played at the court of seventh ranked Al Mina (2-2). Al Mina defeated Al Hilla 67-54. Al Mina moved-up to fifth place, which they share with Nift Al-Janoub. Al Hilla at the other side dropped to the seventh position with two games lost. Al Mina's next round opponent will be bottom-ranked Zakho (#11) on the road where they are favorite. Al Hilla will play against Al-Tadamoun (#8) and it may be a tough game between close rivals. The game with biggest result difference took place in Baghdad. 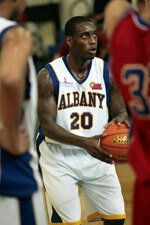 Local Al Shurtah (4-0) outscored 9th ranked AL-Adhamiya (1-4) 100-56 on Saturday night. Al Shurtah have a solid four-game winning streak. They keep a position of league leader, which they share with Al Karkh. AL-Adhamiya lost third consecutive game. Newly promoted team keeps the ninth place with four games lost. Al Shurtah will face league's leader Al Karkh on the road in the next round and it will be for sure the game of the week.